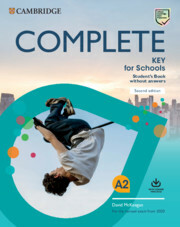 It is designed to introduce students to the critical thinking required for IELTS and provide strategies and skills to maximise their score. The 10 topic-based units offer step-by-step approach to completing the different task-types for reading and listening and stimulating speaking activities to increase confidence and fluency. A Language Reference provides further grammar and vocabulary explanations and examples while Writing and Speaking References complete with tasks, sample answers and exercises. 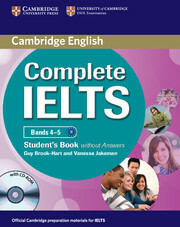 The Student's Book includes a full IELTS practice test, and a CD-ROM containing additional skills, grammar and vocabulary exercises.